guidelines for the treatment of autism in children and young people. "Autism - the management and support of children and young people on the autism spectrum" has been developed in collaboration with the Social Care Institute for Excellence (SCIE) and is the culmination of a long period of public consultation. Full access to health and social care services, including mental health services, regardless of their intellectual ability or any coexisting diagnosis. Health and social care professionals working with children and young people with autism in any setting should receive training in autism awareness and skills in managing autism. This includes the impact of autism on the young person and their whole family or carers, how to assess risk and how to provide individualised care and support, ensuring a consistent approach across all settings. Making adjustments to the social and physical environment and processes of care. This includes using meaningful visual supports, personal space and sensory sensitivity requirements and arranging appointments at the beginning or end of the day to minimise waiting time. Working with parents, carers and teachers to use play-based strategies aimed at increasing attention, engagement and reciprocal communication in the child or young person. The guidance states that any interventions should be delivered by a trained professional. Understanding enough about the child's condition to be able to anticipate and prevent challenging behaviour. This includes being aware of sensory difficulties, any mental or physical health issues such as pain or anxiety, co-existing ADHD, communication problems or changes and difficulties at home. Families (including siblings) and carers should be offered an assessment of their own needs, including personal, social and emotional support. Practical support such as short breaks and emergency plans and assistance with planning for future support of the young person. Transition to adult services should inform and include the young person in the planning and, where appropriate, their parents or carers, as well as informing about their right to a social care assessment at age 18. For young people aged 16 or older whose needs are complex or severe, use the care programme approach (CPA) in England, or care and treatment plans in Wales, as an aid to transfer between services. The guidance also made several recommendations for future research for the improvement of autism services. A key worker approach for children and young people with autism and their families should be formally evaluated in a randomised controlled trial. 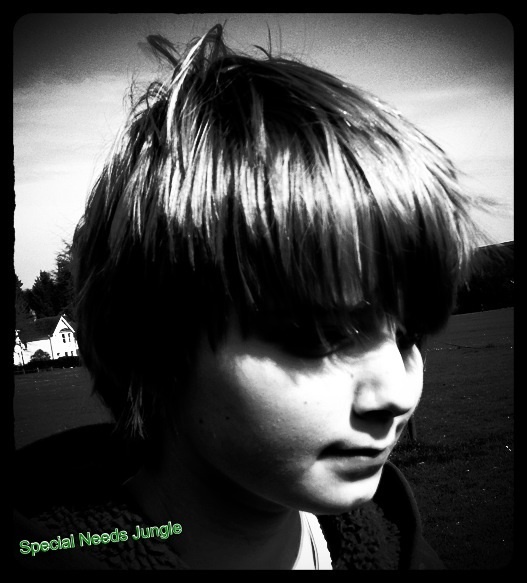 Managing behaviour that challenges in children and young people with autism. A group-based parent training intervention (such as educating parents to identify triggers and patterns of reinforcement) should be evaluated using an RCT. Managing sleep problems in children with autism using sleep hygiene intervention or melatonin in children (aged 4–10 years) with autism. Treating co-morbid anxiety in children and young people with autism to look at the comparative clinical and cost effectiveness of pharmacological and psychosocial (such as Cognitive Behavioural Therapy) interventions for anxiety disorders in children and young people with autism. Teacher-, parent- and peer-mediated psychosocial interventions in pre-school children with autism to investigate if comprehensive early interventions such as the LEAP model, are effective in managing the core symptoms of autism and coexisting difficulties (such as adaptive behaviour and developmental skills) in pre-school children. The guidelines also state interventions that should not be used, which may prove controversial to some. These are the use of neurofeedback or of auditory integration training to manage speech and language problems and the use omega-3 fatty acids to manage sleep problems. The guidelines also state that the use of secretin, chelation or Hyperbaric Oxygen Therapy should not be used to manage autism in any context in children and young people. The above is just a prėcis of the whole guideline, that you may wish to read in its entirety, but it gives an overview of what is included. You can find the appendices here What do you think? Are you pleased with the guidance and will they improve services and treatment?